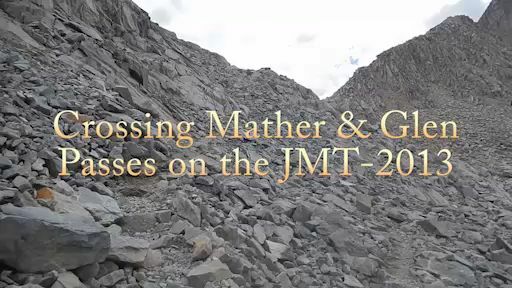 Another unusual weather pattern for hiking the JMT this year. 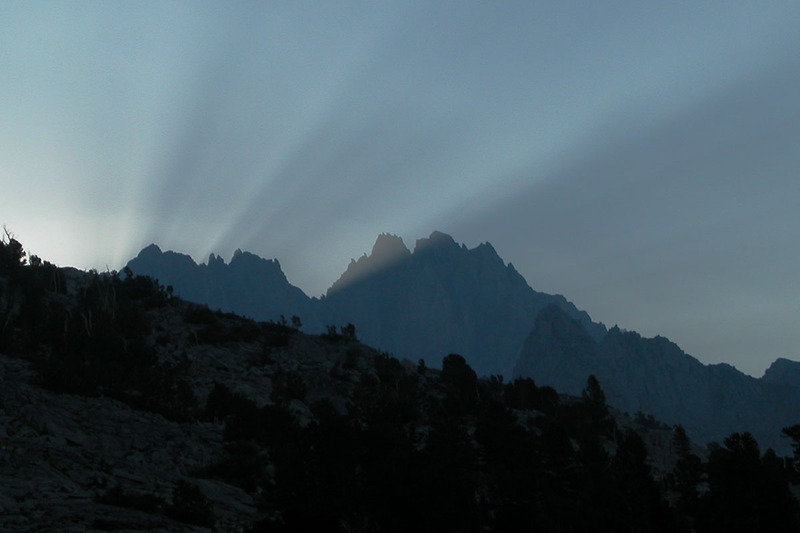 First it was smoke, then thunderstorms mixed with monsoonal rain during a four day period in the middle of August. 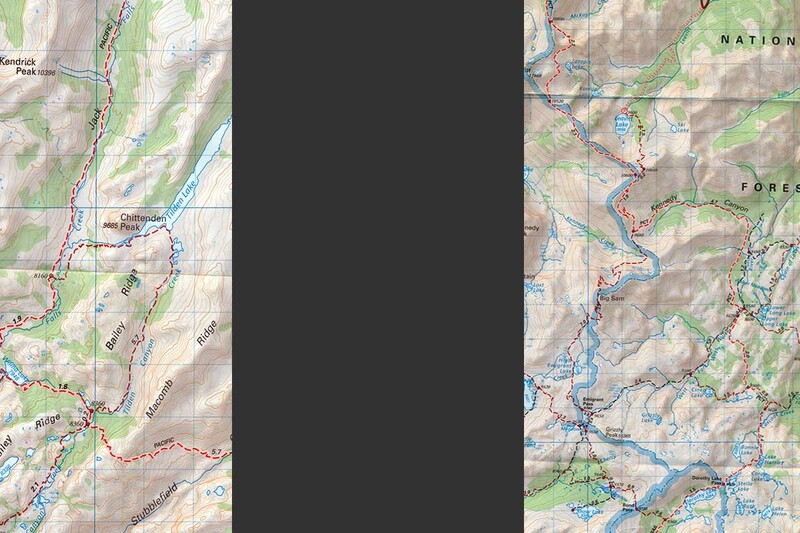 Not quite as disruptive as last year, but the thunderstorms were particularly violent and very numerous along sections of the Trail. 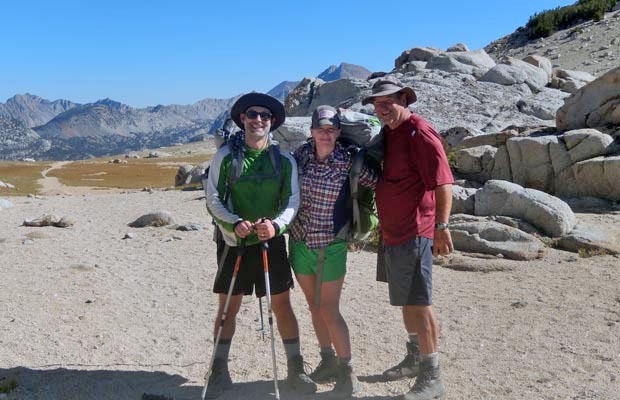 I was supposed to be hiking the JMT solo this year, but ended up with two fellow travellers for most of the journey. 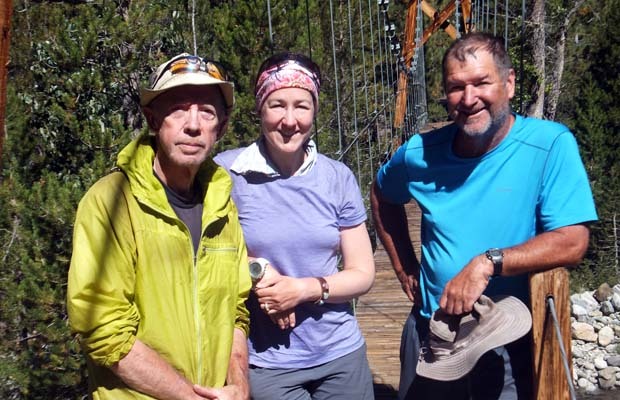 First there was Marv from Reno, then Rob from Boston and finally Angela from Munich. 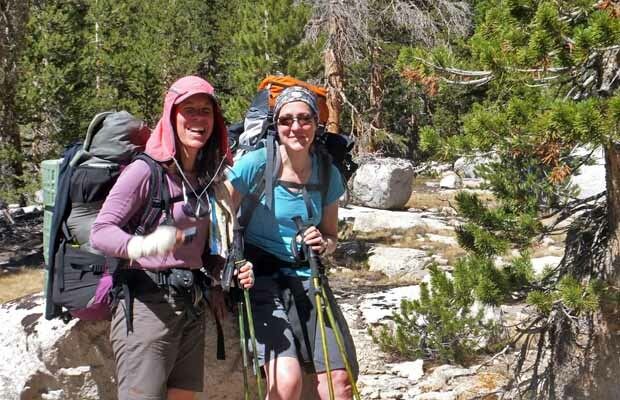 All proved to be great trail companions, and despite their ridiculously heavy packs, were able to keep pace with me, hoofing along on my titanium, total replacement, knees! 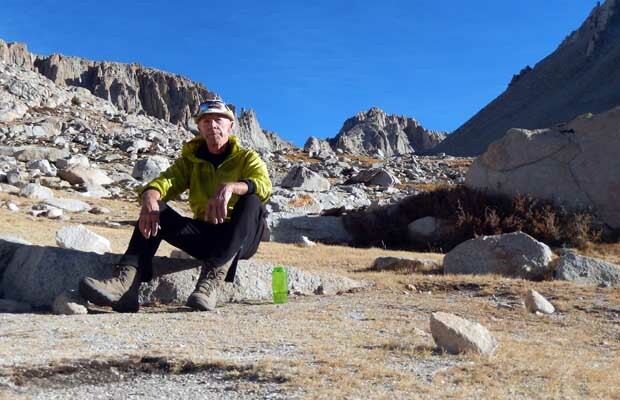 Which answers the question as to why I'm now called "Tinman" along the Trails - the long distance hiker formally known as "Yellowshirt". 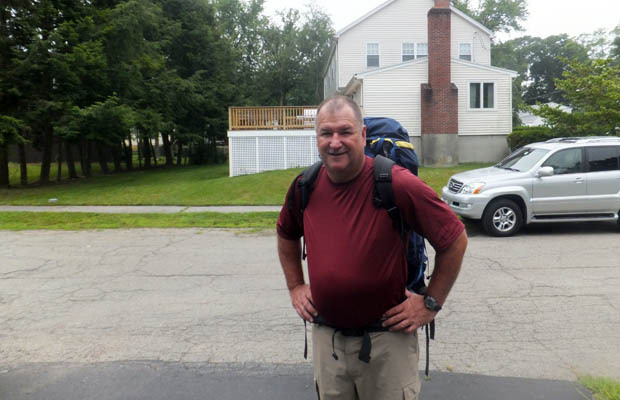 Rob at his home in Boston prior to flying to Reno for his historic journey. 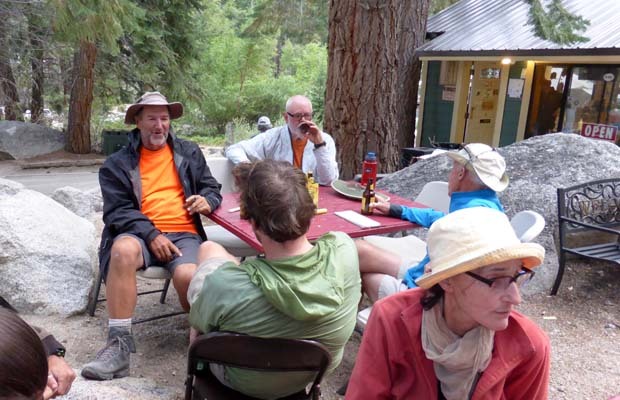 Rob by Thousand Island Lake with self and Marv. 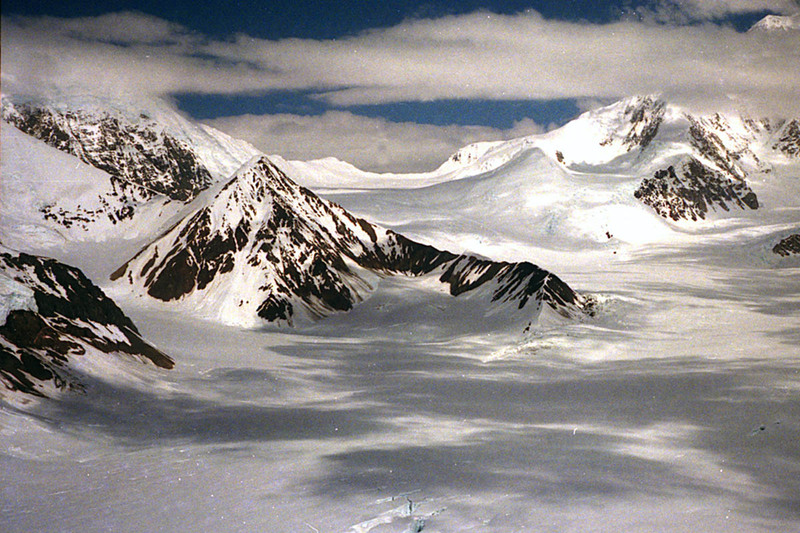 Mounts' Ritter & Banner behind. 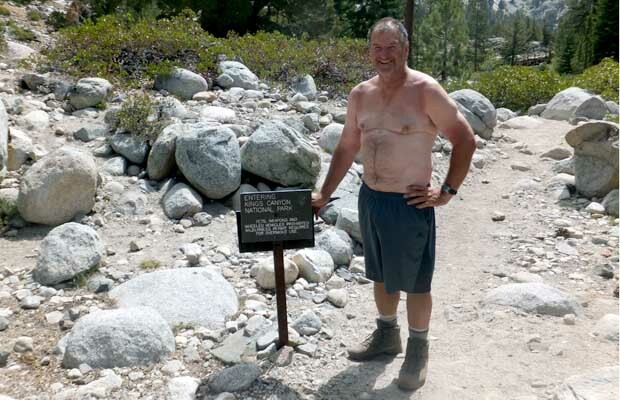 Rob in 2013 at the Piute Creek intersection with the JMT - notice the different sign! 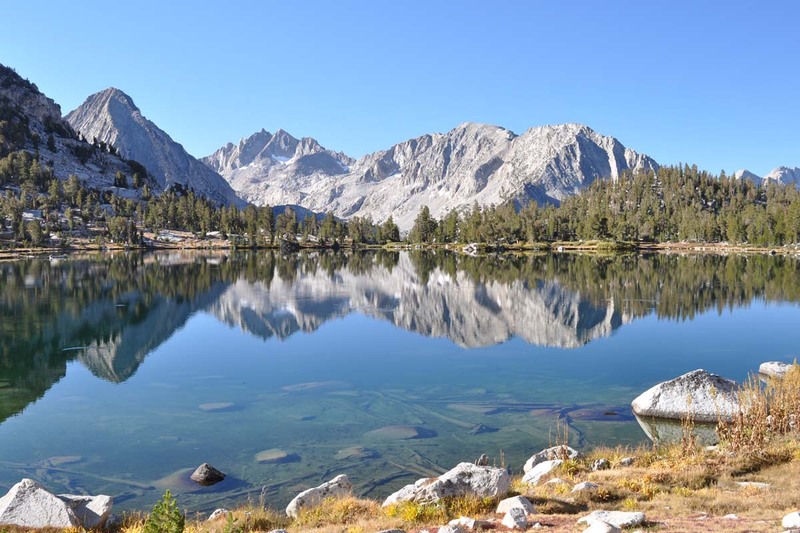 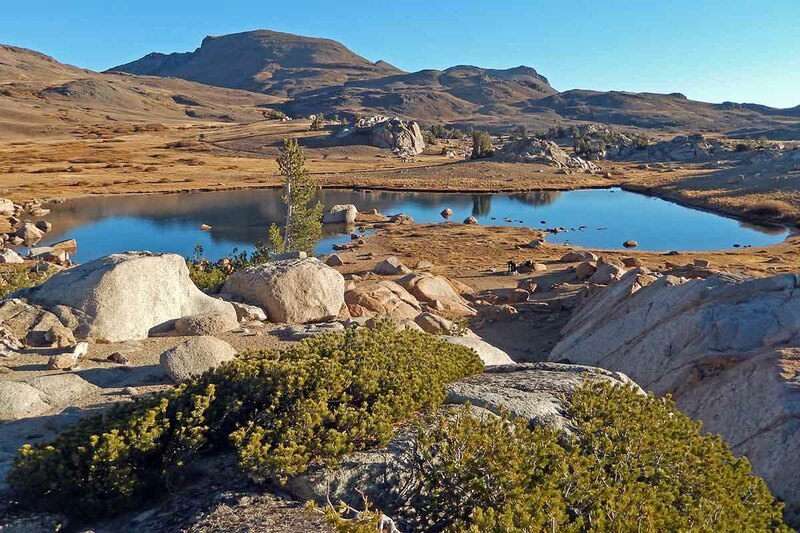 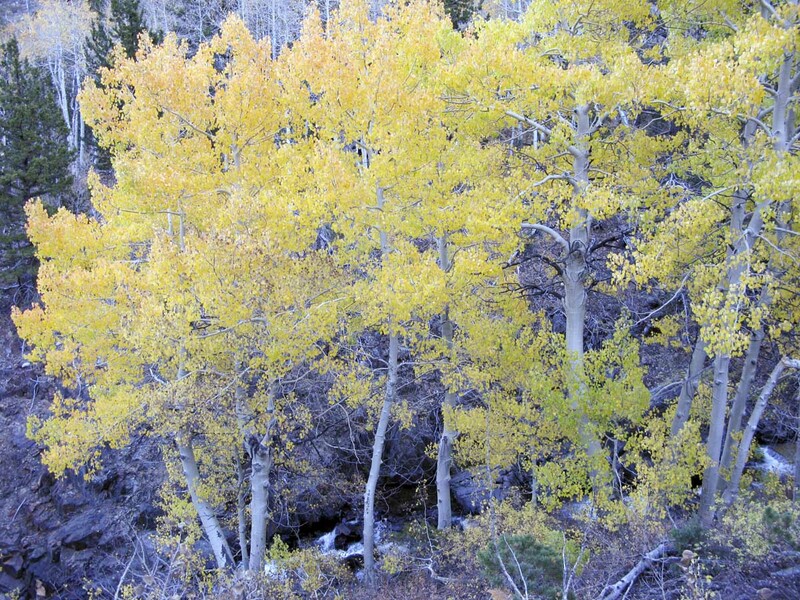 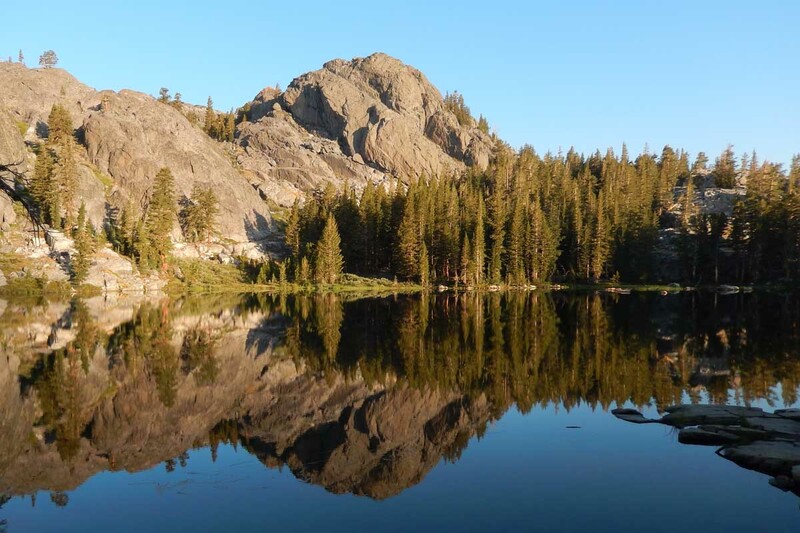 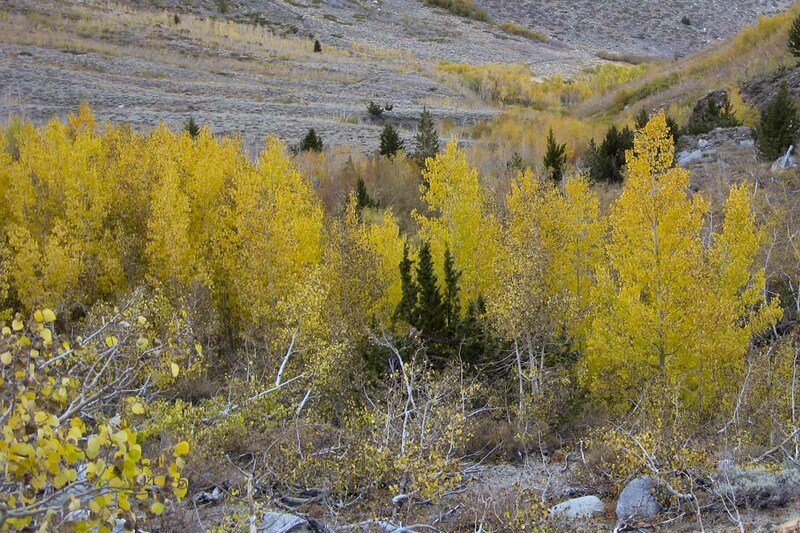 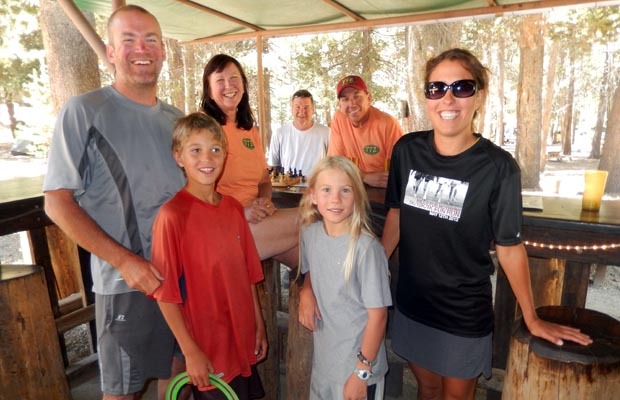 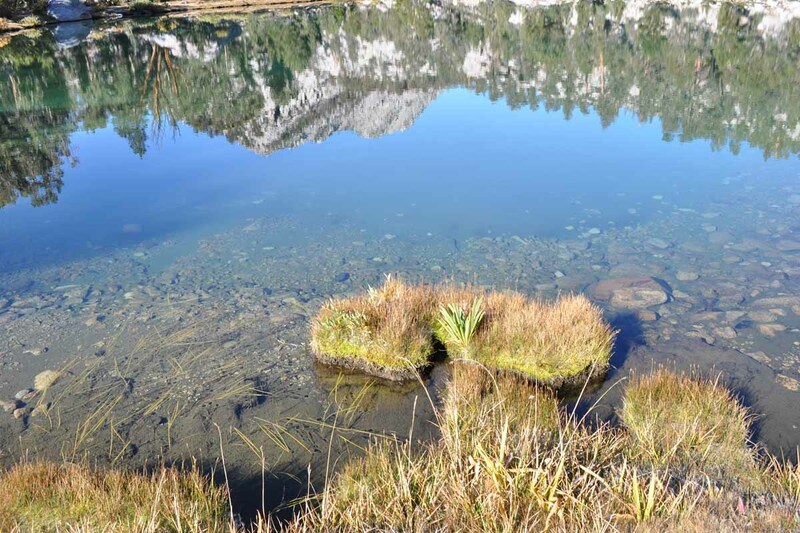 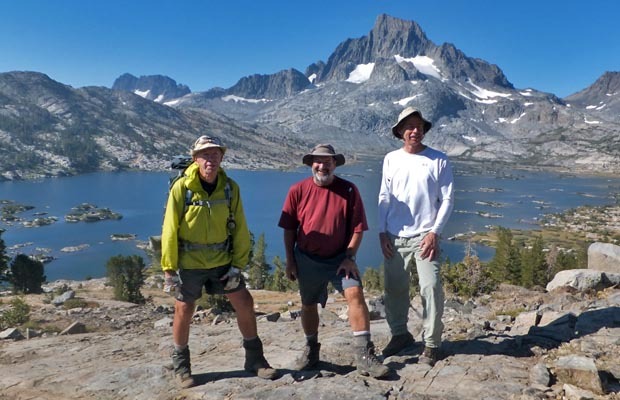 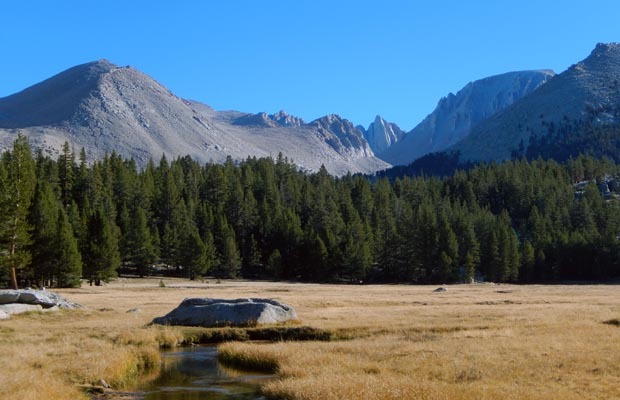 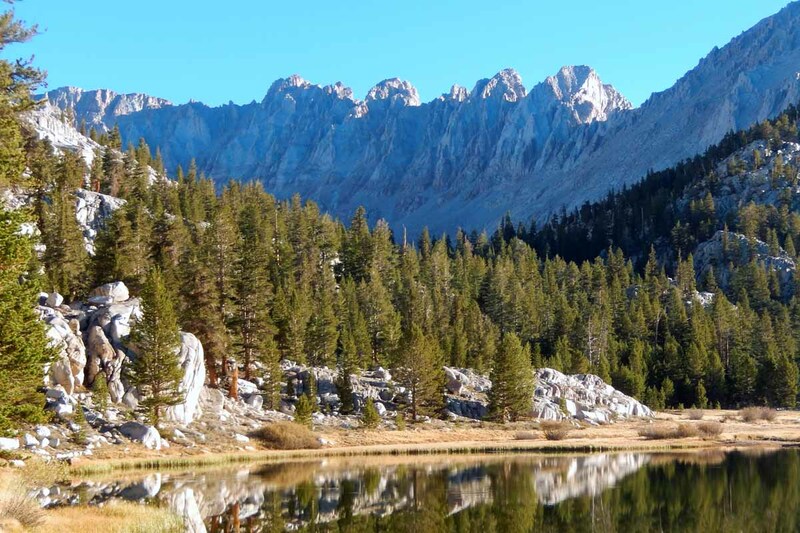 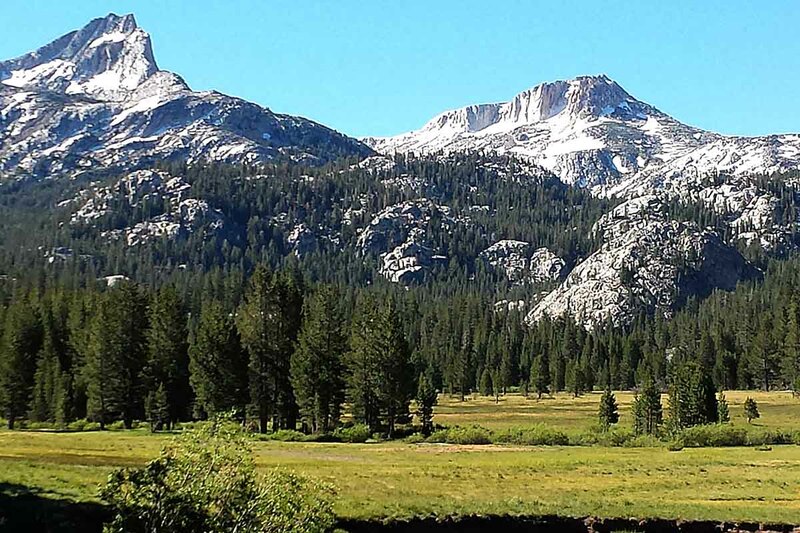 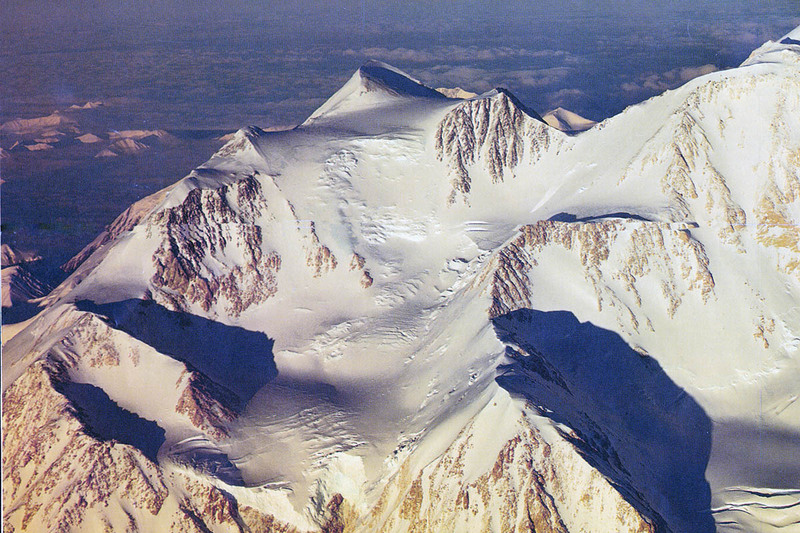 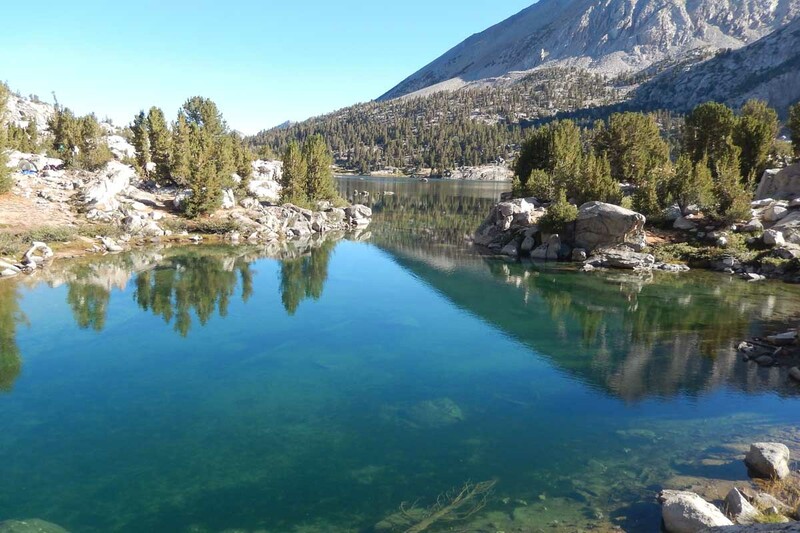 Rob was an interesting case study as a middle aged citizen revisiting his youth on the Long Trails: In 1977, at age 22, Rob and three like minded friends had hiked from Meeks Bay on Lake Tahoe to the summit of Whitney. 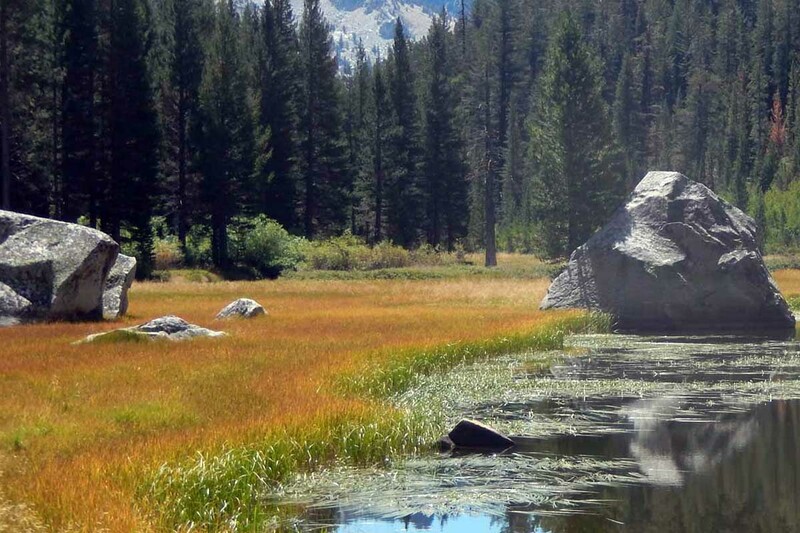 The trail from Meeks Bay to Yosemite was then known as the Tahoe - Yosemite Trail and the extension from Yosemite to Mt. 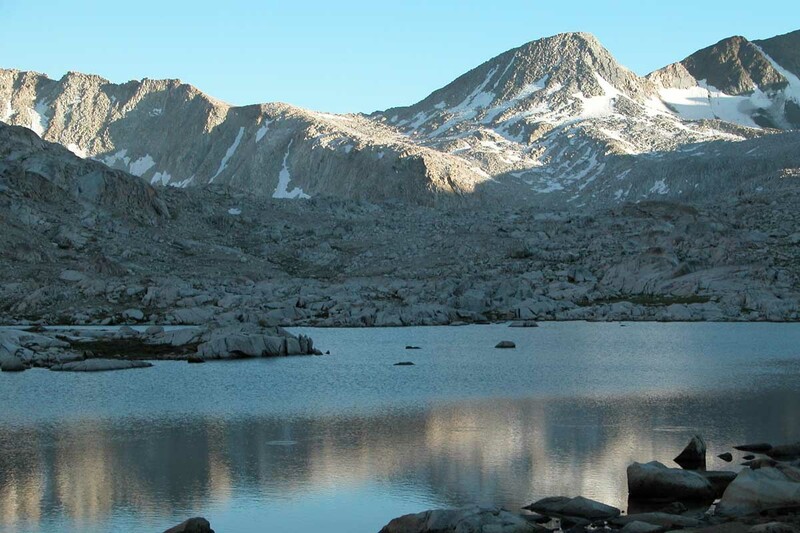 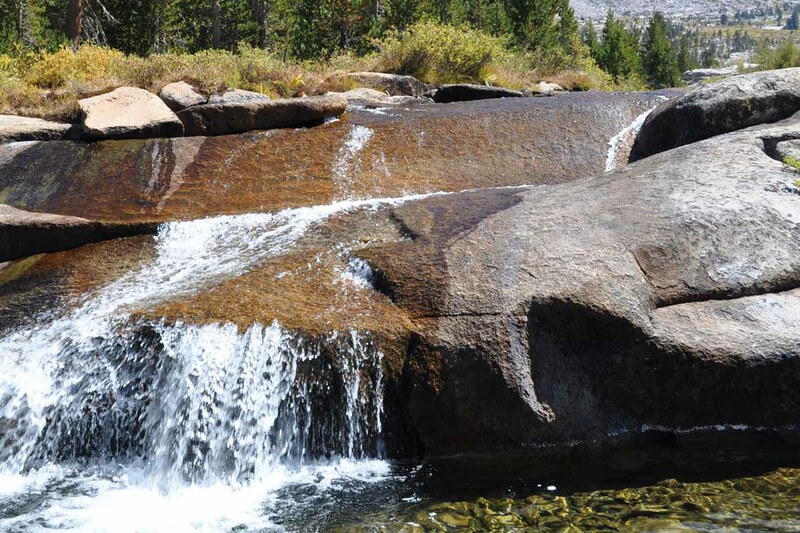 Whitney was along the John Muir Trail (JMT). 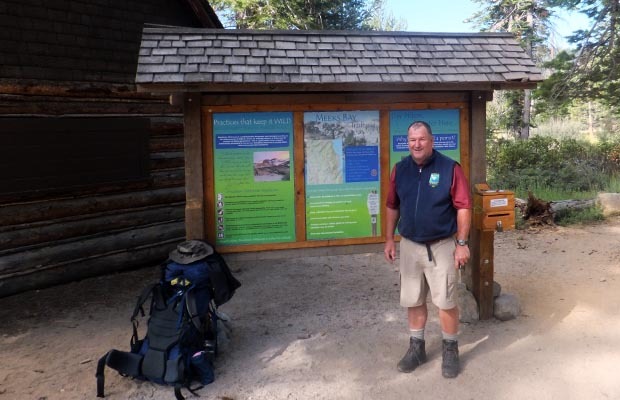 This year, as I began my annual JMT hike, I encountered Rob, now aged 58, at Tuolumne Meadows attempting the journey he'd done 36 years before - and doing it solo! 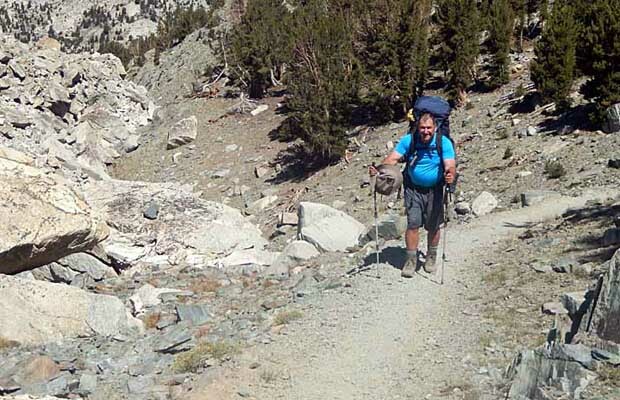 He was moving slowly, but steadily southbound along the Lyell Canyon section of the JMT carrying one of the largest packs I've seen in recent years. 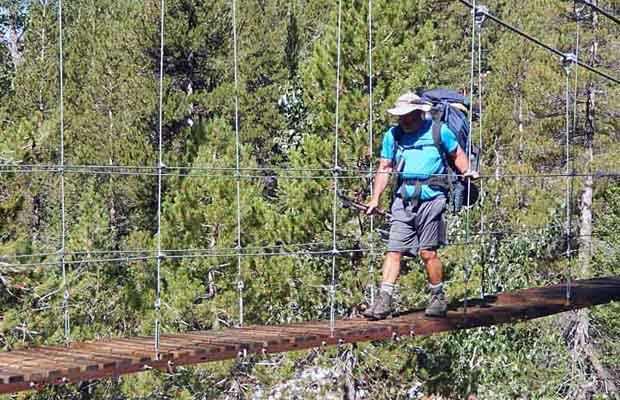 He'd already been told by passing (super-lightweight) hikers that whatever his destination, he wouldn't make it - and on first meeting I thought the same thing. 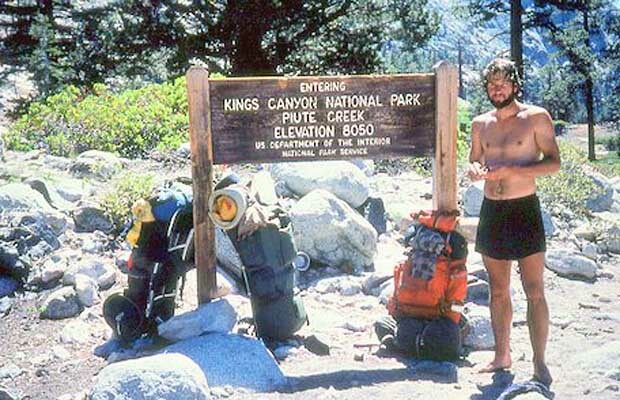 What I didn't know, but was soon to learn, Rob had already hiked 180 miles from Meeks Bay with his ungainly load that he fondly called "The Beast". 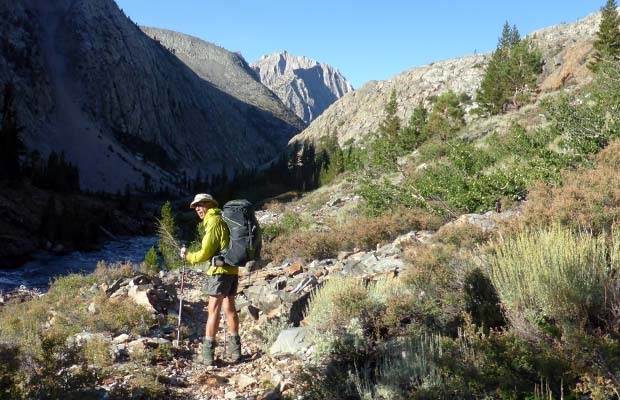 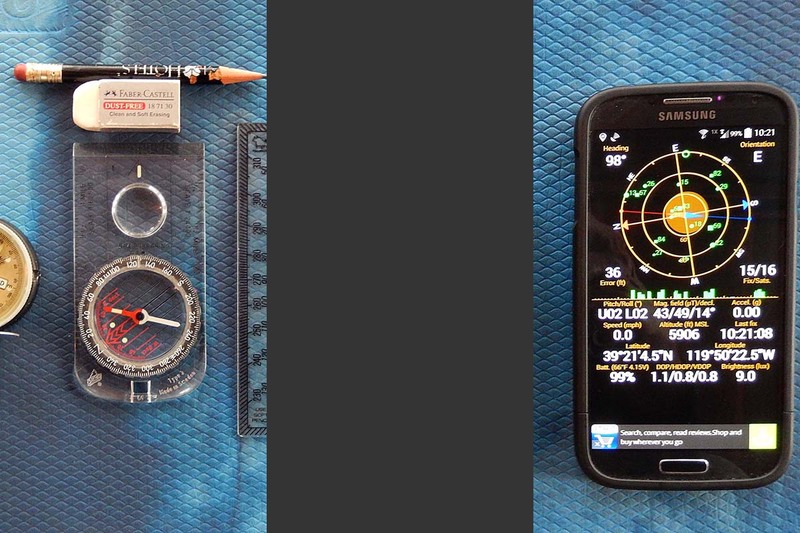 Read Rob's complete trail journal here. 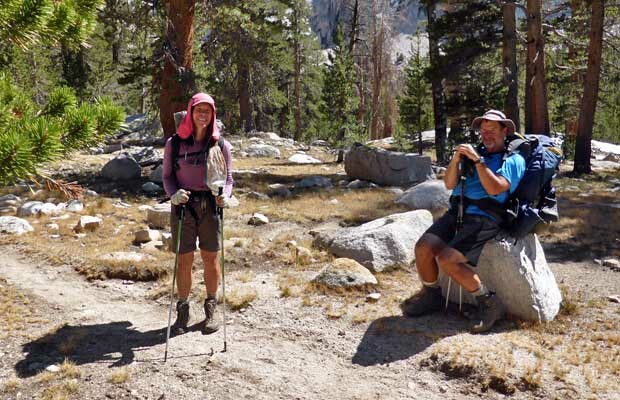 Rob and fellow travellers at Whitney Portal ... no more hiking! 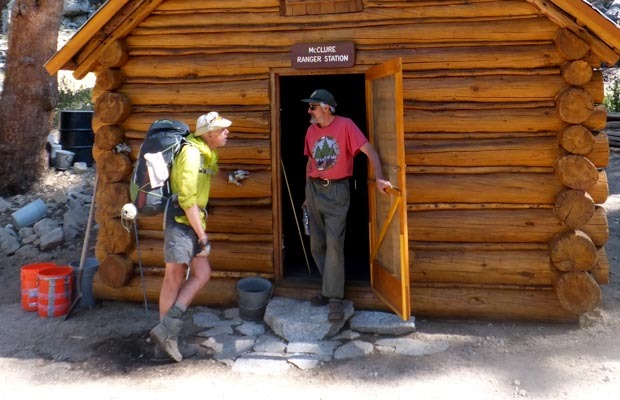 As planned, Marv departed for home when we reached Mammoth and Rob and I continued south from Reds Meadow as travelling companions. 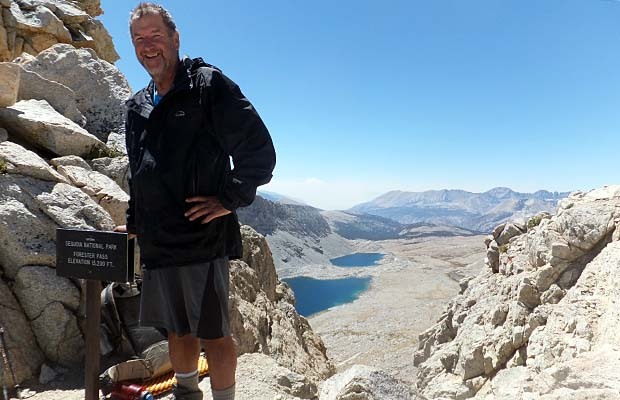 Although Rob felt that he had to push on to meet his original Whitney Portal estimate, I convinced him to stay on my schedule which included a day off at VVR, but would still allow him to continue on his own from the Kearsarge Pass Trail after I left for an Onion Valley resupply. 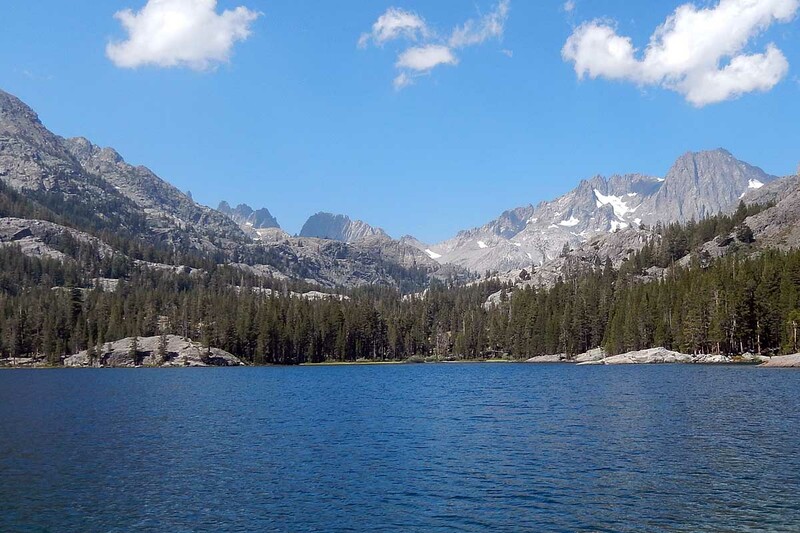 So, we proceeded, with overnights at Duck Creek and Squaw Lake, then hiked the shortcut to VVR over the 11,000' Goodale Pass ... to avoid the problem of low water levels on Edison Lake. 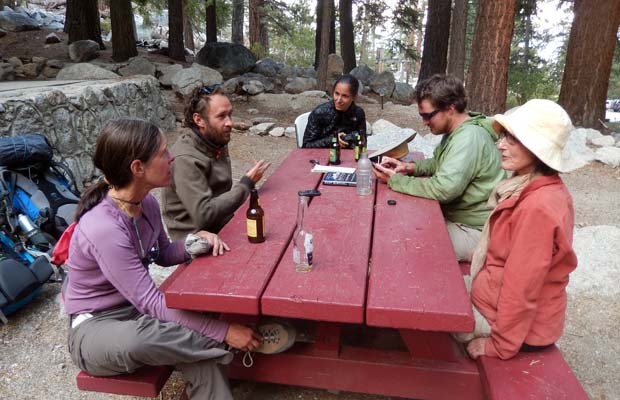 Our two nights and a zero day at VVR were most pleasant: excellent food, new toilet/shower amenities and good company ... including catching up with old friends from previous years. 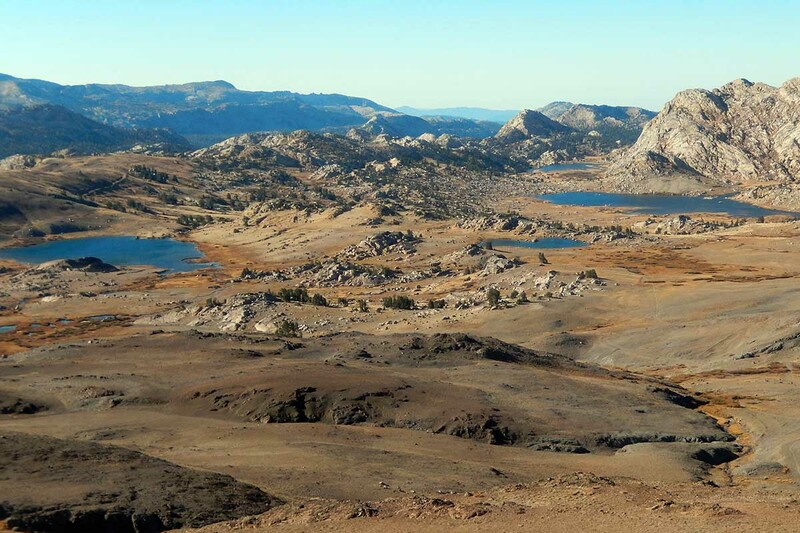 Departing VVR, we avoided the lake crossing again, and instead, shuttled to the Bear Creek Cutoff Trail. 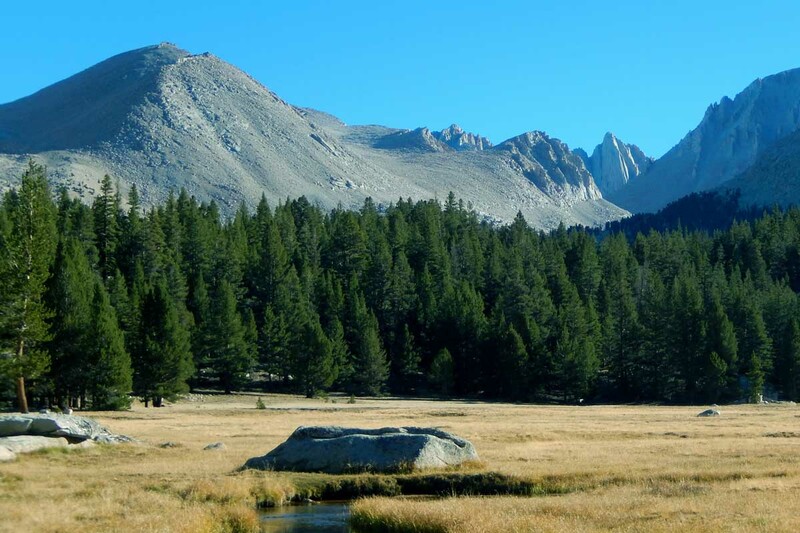 A night at Lower Bear Creek Meadow, then to the Muir Ranch campsite for resupply collection ... 8 days for me and 11 days for Rob. 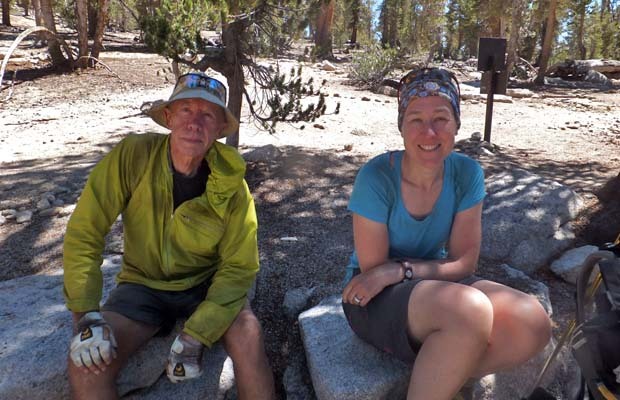 Two nights later we were joined at our campsite at Lower Evolution Lake by Angela, a German hiker who'd been abandoned by her two male companions at Piute Creek ("the JMT is boring" was their justification!). 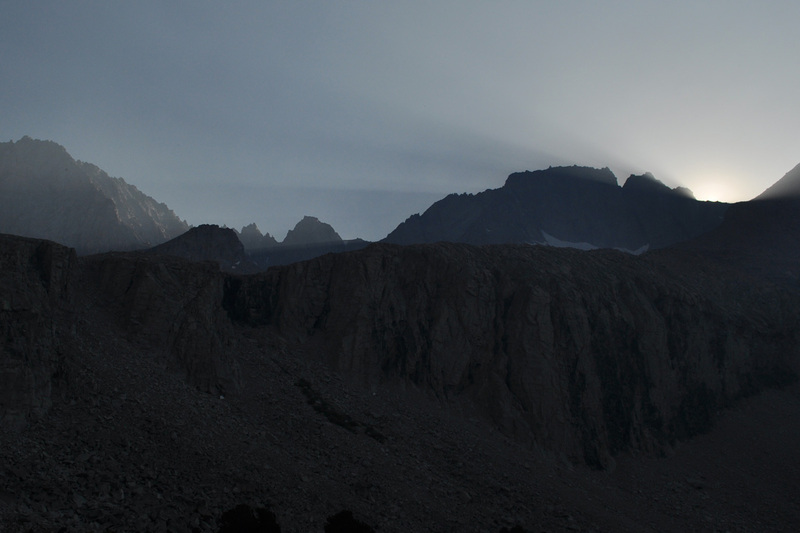 The following day was the beginning of four consecutive days of thunderstorms ... this first experience occurred as we crossed Muir Pass to camp near the Rock with Teeth. 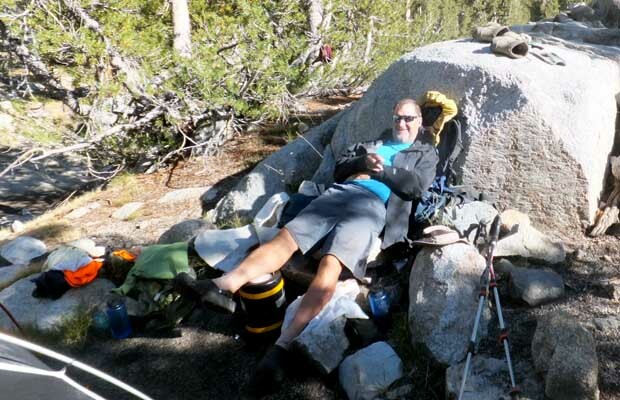 Subsequent days found us racing against the lightning and hail for tent setups at Deer Meadow, Taboose Pass trail intersection and finally at Woods Creek. 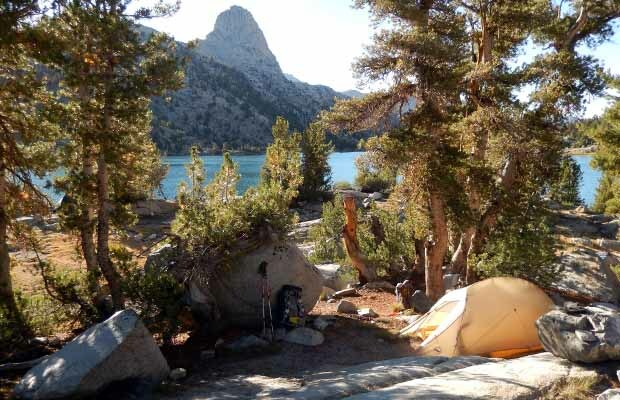 Then finally, the following day marked the end of bad weather, resulting in a "Sierra blue sky" hike and relaxed camp at Rae Lakes. 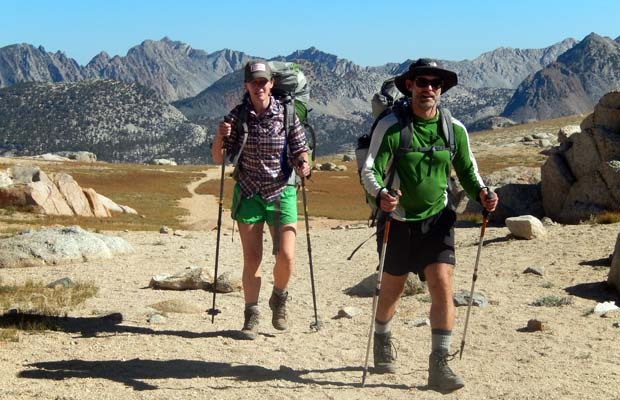 For Rob and Angela this delightful weather lasted until they walked off the JMT and down to Whitney Portal on August 26th. 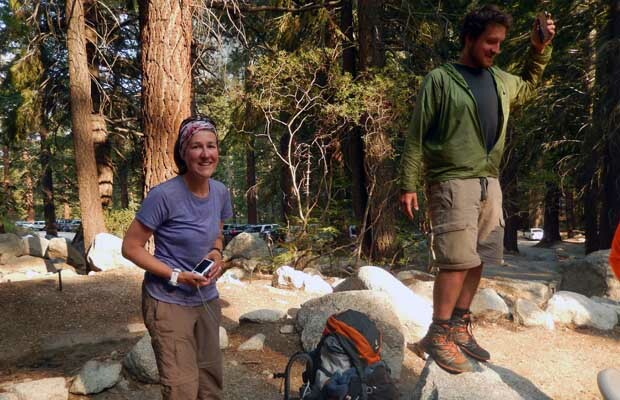 As a good Trail Angel, I was there to pick them up (including old trail friend, Johannes), drive them to Bishop for the night and then to Reno the following day. 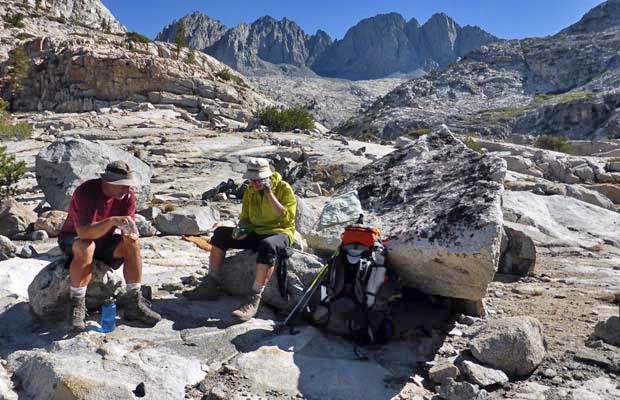 For me, the adventure was incomplete, because I didn't return to the JMT after exiting at Onion Valley, in order to make good my promise to collect Rob and Angela from Whitney Portal. 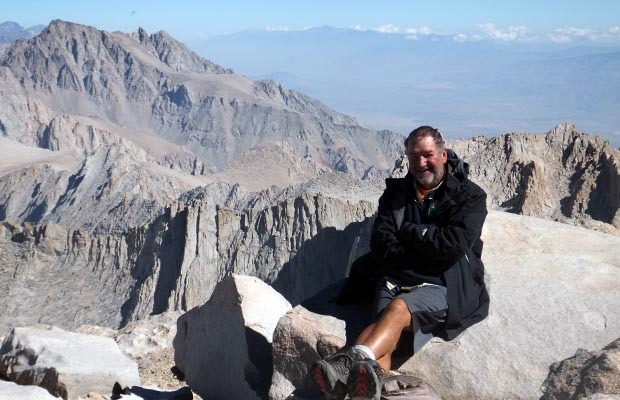 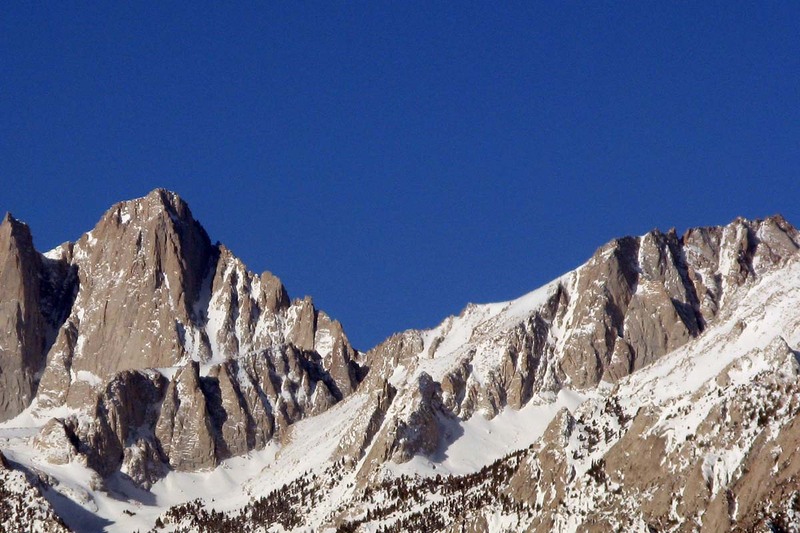 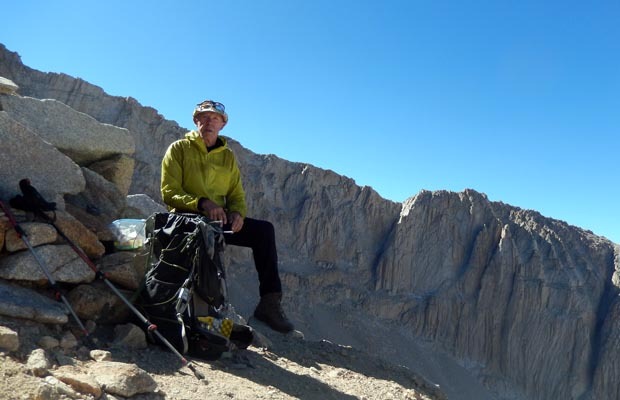 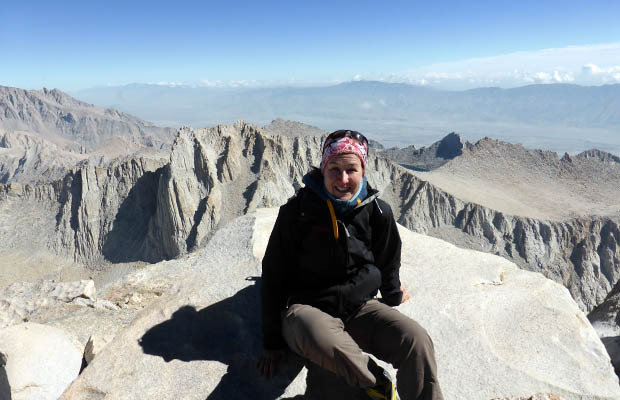 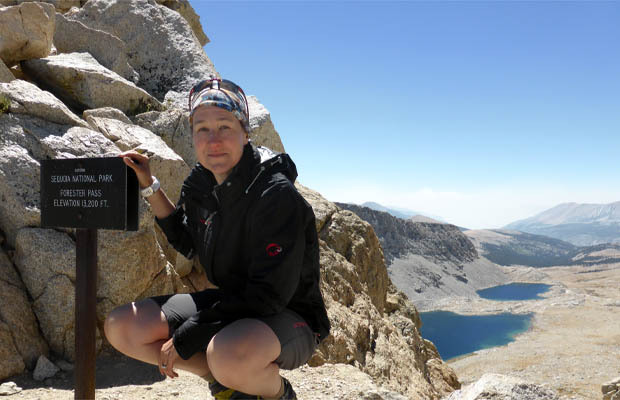 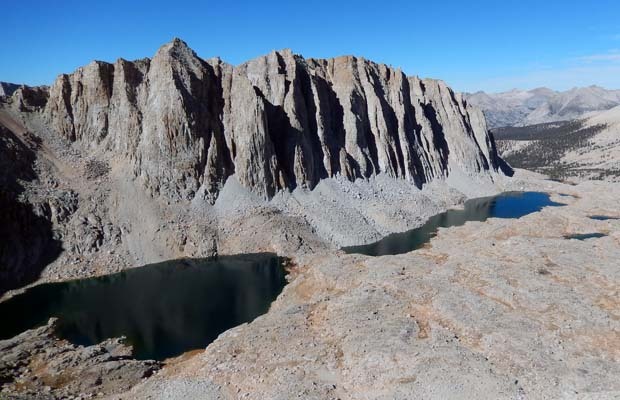 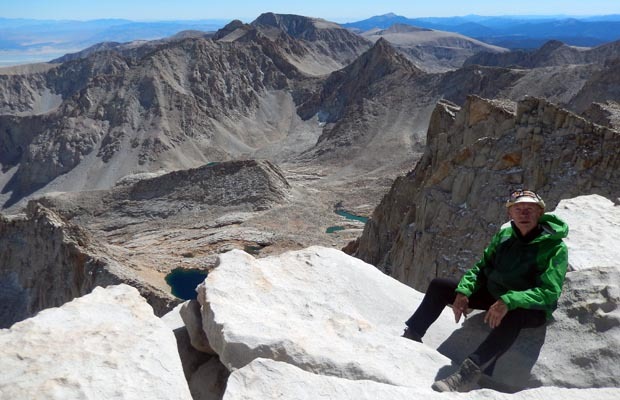 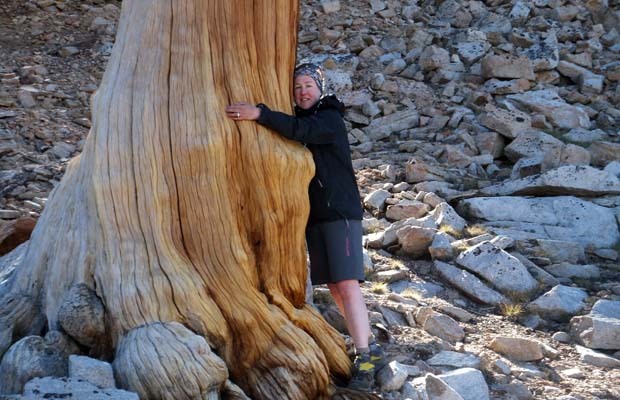 In past years, having returned to Onion Valley for the five day hike to complete the JMT, I decided to do something that would allow me to day climb Mt Whitney from the western side and not be faced with the descent to Whitney Portal from Trail Crest. 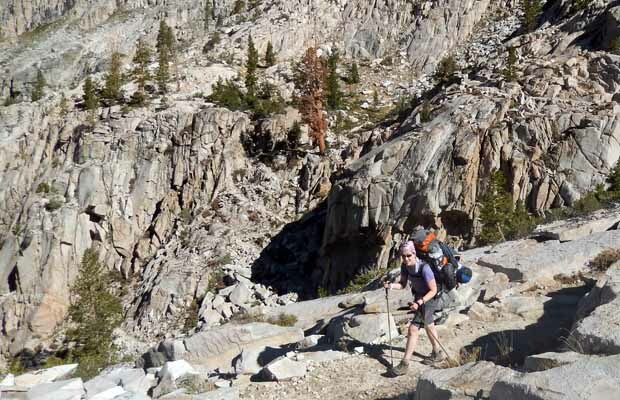 I'd had enough of the Hoi Polloi day hikers trooping up from the Portal and the stink of their excrement that dominates the environment (so much for the regulatory use of "wag-bags"). 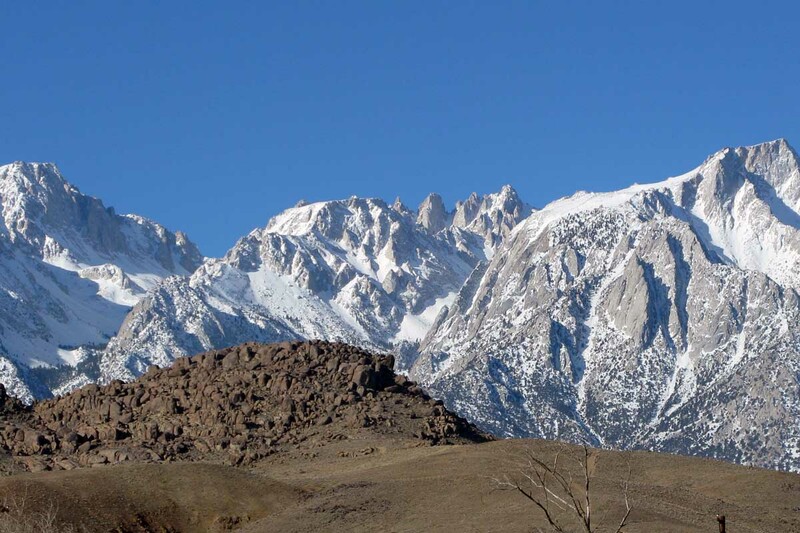 My choice was to approach Mt Whitney from the south, walking in from Horseshoe Meadow, over Cottonwood Pass to the PCT and north to Crabtree Meadow. 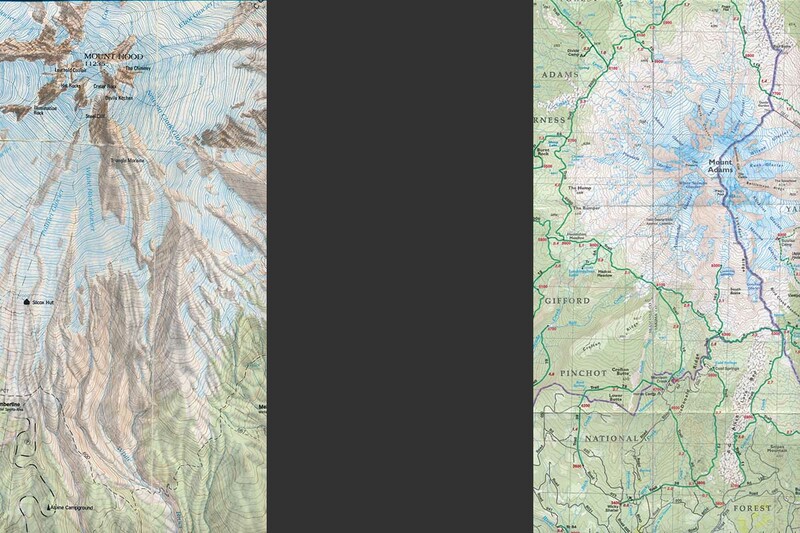 From there, to do a day climb of Mt. 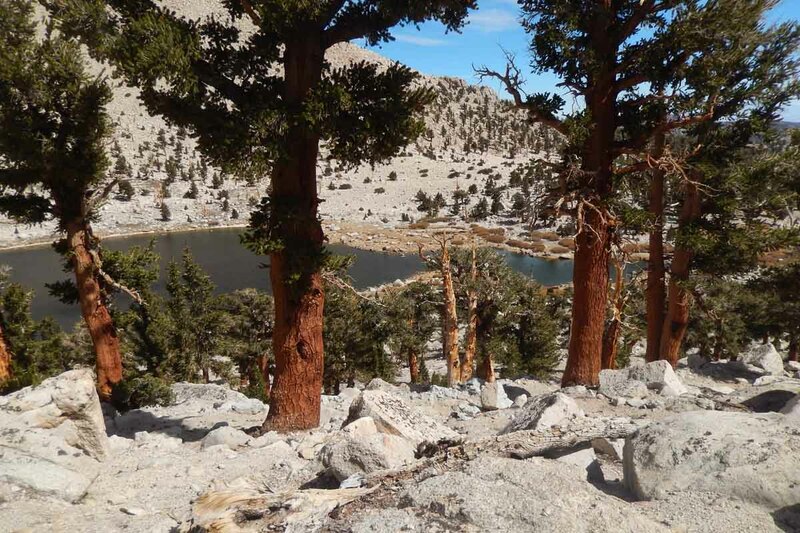 Whitney, return to Crabtree and hike back to Horseshoe Meadow in two days. 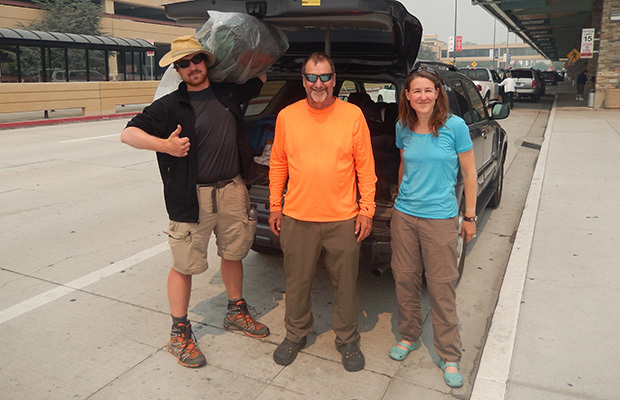 A fairly tough trip, particularly late in the season. 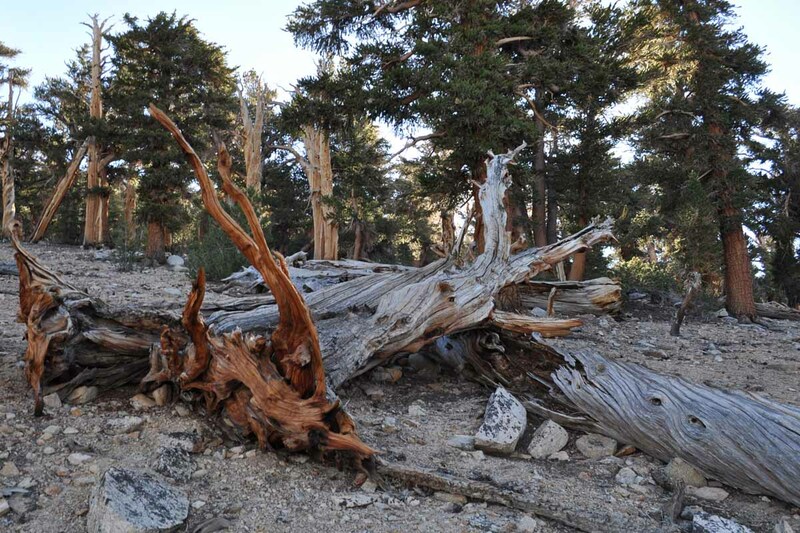 It started rather ominously on September 26th. 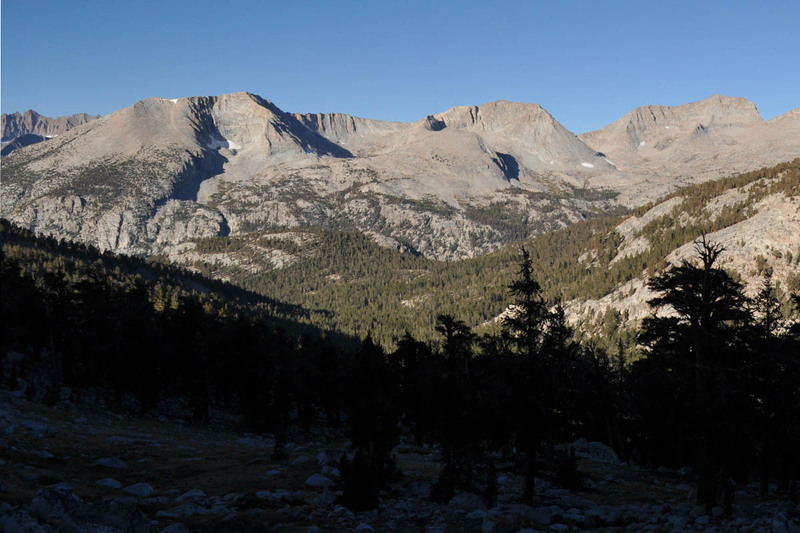 I’d driven from Reno to Lone Pine, acquired a permit from the Ranger Station and headed up to the 10,000’ Cottonwood Pass trailhead at Horseshoe Meadow. 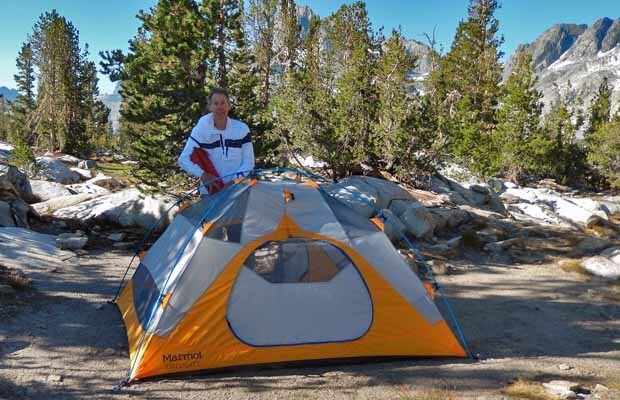 I’d just arrived at the hiker camp when the snow started and woke the next morning to a temperature of 12°F. 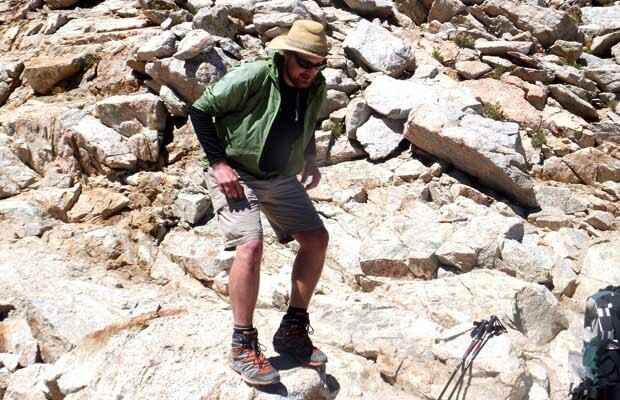 A sobering beginning for my five day hike to Whitney and back. 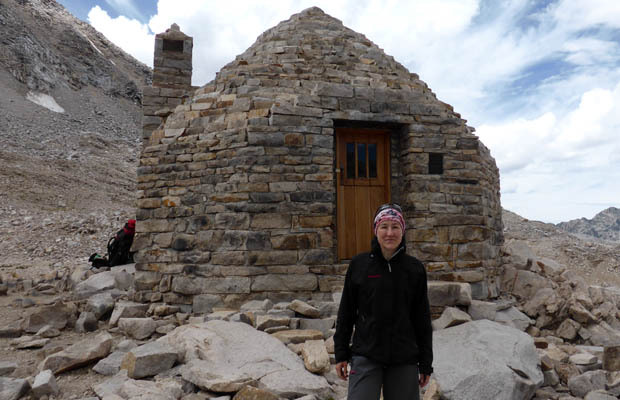 In the event, the weather cleared and the nighttime temps improved, resulting in a perfect trip … often cold, mostly alone, but not lonely (passed no more than 15 people in the five days). 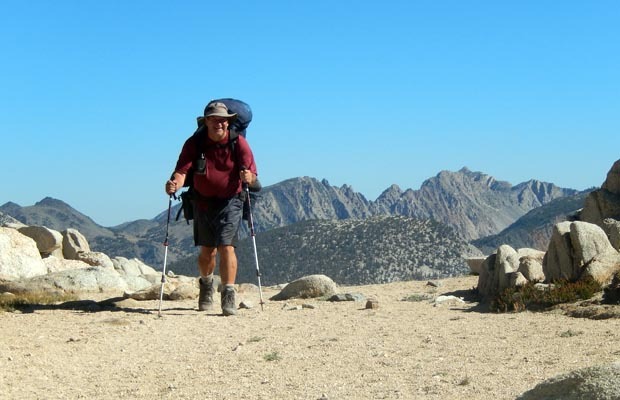 Total distance hiked in the five days was 60 miles. 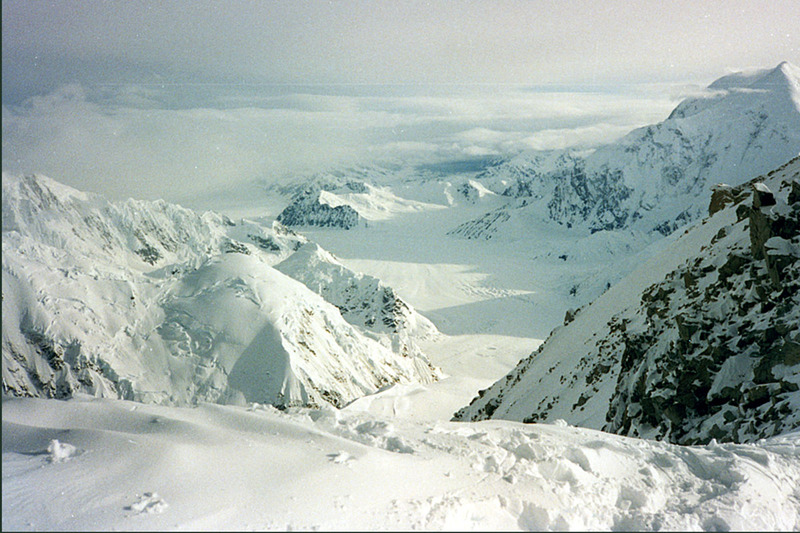 On the way back from a successful ascent of Mt. 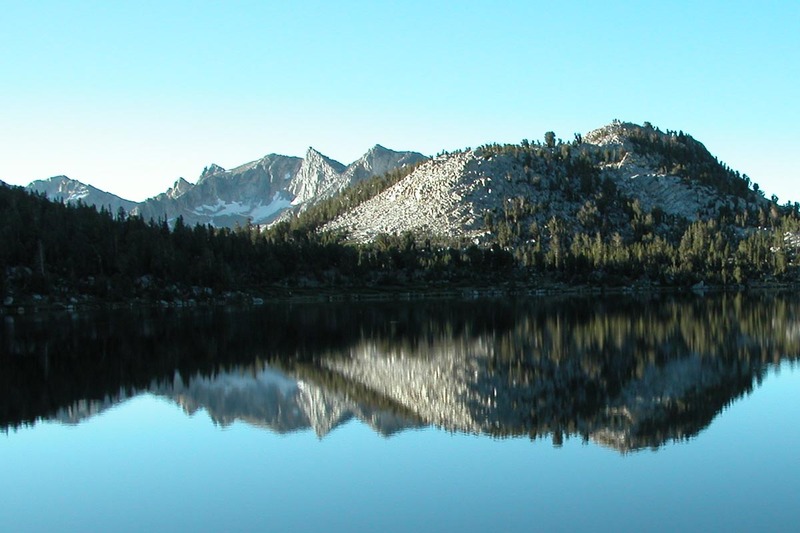 Whitney, I camped the last night at an unnamed lake on upper Rock Creek, a most beautiful location.